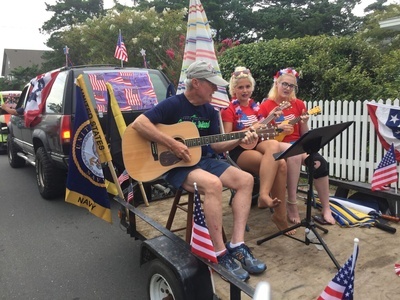 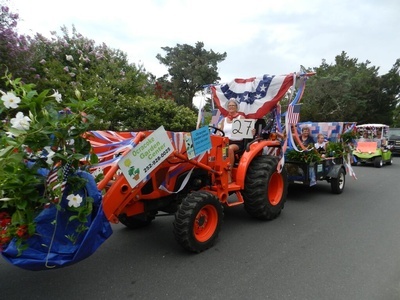 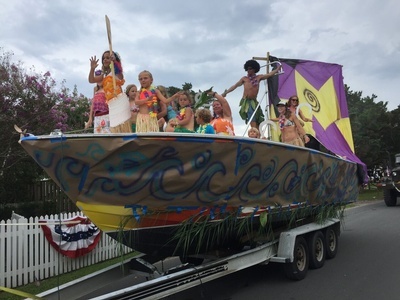 There’s no lack of excitement on Ocracoke Island this Independence Day. 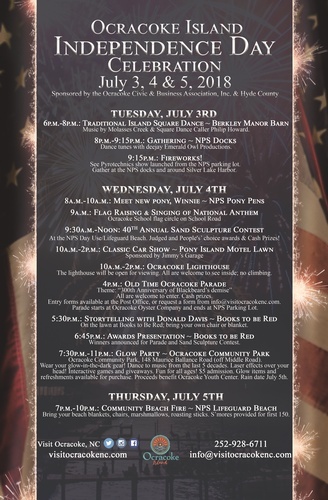 The festivities kick off July 3, with the famous Ocracoke Square Dance and a fireworks show over beautiful Silver Lake. 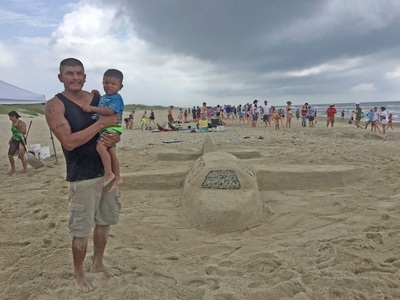 The fun continues July 4 with a full day of activities, featuring the Sand Sculpture Contest, a traditional hometown parade and then in the evening—a Glow-in-the-Dark Laser Effects Show and Dance Party. 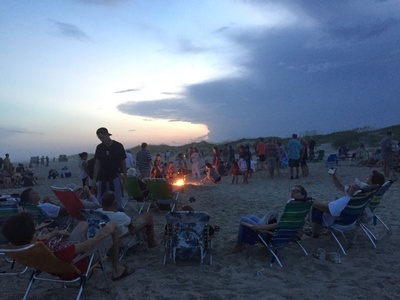 Festivities conclude July 5, with a Community Beach Bonfire finale.